Day 2, Trip 2 of Project Wildness and we find ourselves in a familiar place: Crested Butte, CO. The streets are a bit more crowded this trip, but the people are just as friendly as ever. The smell of savory food blankets the streets as music fills the air. It seems like every block has a coffee shop or corner bench with musicians sharing their craft. The artists range from organized professionals to street musicians earning a couple of dollars on a sunny afternoon. As we drove down Elk street we caught just a brief clip of music from a very young man. He was sitting on a bench in front of our old haunt, Pitas in Paradise. We looped back to find a parking spot and walked over to listen to the young musician. He noticed us, but continued playing his song. When he finished the gathered crowd clapped and some walked away. His guitar case was open with a handful of $1 bills and a couple $5 bills. Shane approached him with a generous tip, and as he took it a look of disbelief came over his face. “Are you serious?” he questioned. The young musician’s name was Michael Schmidt, and he couldn’t believe what was happening. At 13 years old, Michael’s manners were aged far beyond his years. After getting over the initial shock he immediately reached out to shake our hands and we exchanged names. Most people our age don’t think to shake hands during introductions, yet, Michael’s first thought was to shake hands and meet us. 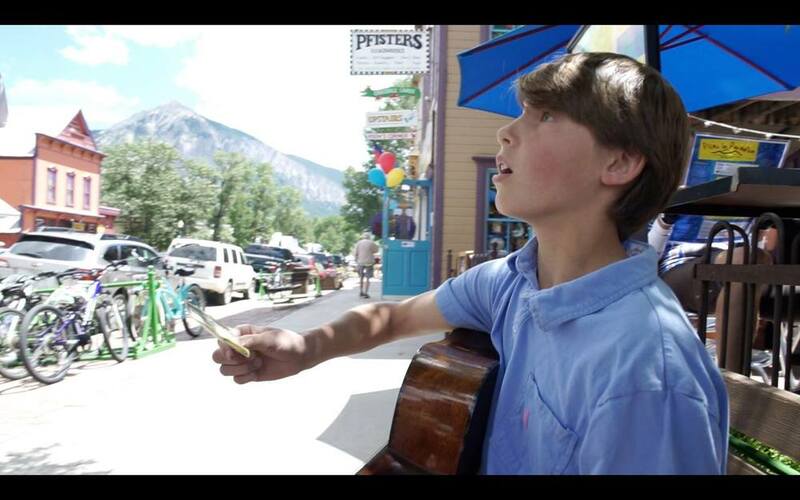 Michael had only been playing guitar for a year and a half, yet he had the confidence (for good reason) to play openly in the streets of Crested Butte. He played with the skill and ability of someone twice his age who had played 10 times as long. We shared some stories quickly and then left Michael to do what he does best – play music. As we got back in the car and shared our thoughts we could still hear Michael playing down the street. Maybe it was the chance meeting we had or perhaps just a different song, but I could swear Michael played louder and with even more confidence after we left. We drove by giving Michael one final thumbs-up out the car window, and he sent us on our way with a quick wave before he continued strumming. Self-confidence is a powerful thing, and we have the power to either build it or destroy it in the people around us. To Barb and Dave H… The two of you have been much of my own inspiration -- both in music and how life should be lived. You haven’t subscribed to a life expected and have seen and done incredible things because of that. You’re perfect examples of doing what you love to love what you’re doing. You requested we share what you gave with a local musician along the way. 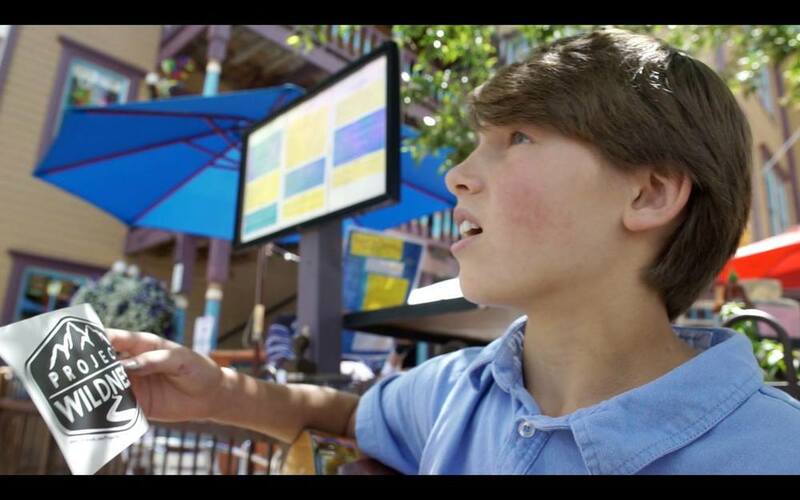 Today you shared that love for music with a young musician named Michael from Crested Butte, Colorado. Thank you! To Mike and Tracy O… You supported this cause not knowing where your donation would go. But you trusted in the fact that alongside this project you could make someone’s day. What you did was good. It was selfless. And for that a young guitar player from Colorado thanks you. To Michele N… You asked Project Wildness to put a smile on a child’s face. Today you did exactly that. As a result of a what you gave, we’re almost certain that a young man named Michael is still glowing with a huge smile as you read this. Thank you for brightening his world!